Michael H. Reichmann is publisher and editor of The Luminous Landscape, a website devoted to the art of landscape, nature and documentary photography using digital as well as traditional image processing techniques. On this website you will find instructive feature articles, product reviews, travel and technical discussions, inspiring portfolios, and a Discussion Forum. This site is non-commercial and currently has more than 3,000 pages, all without advertisements. The site is not affiliated with or beholden to any company. 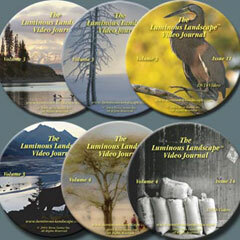 The considerable effort and expense of running and maintaining this site is supported through Workshops, Print Sales, Book Sales and most importantly through subscriptions to The Luminous Landscape Video Journal. This Video Journal, published on DVD, is the world's first and only video magazine for serious photographers.